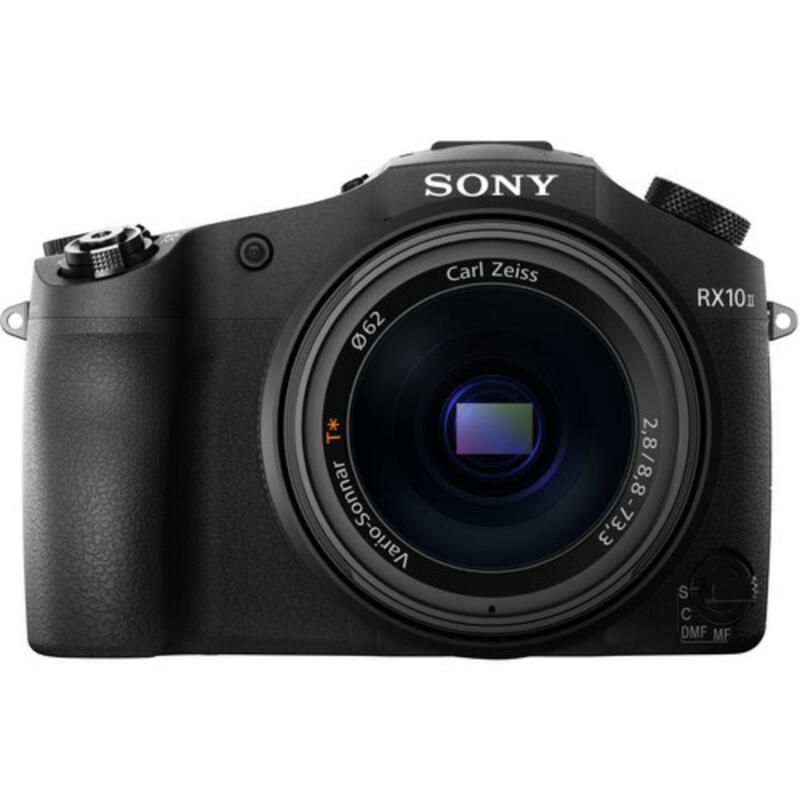 The Sony Cyber-shot DSC-RX10 II boasts 4K video recording as well as super slow-motion full HD video up to 960 FPS. 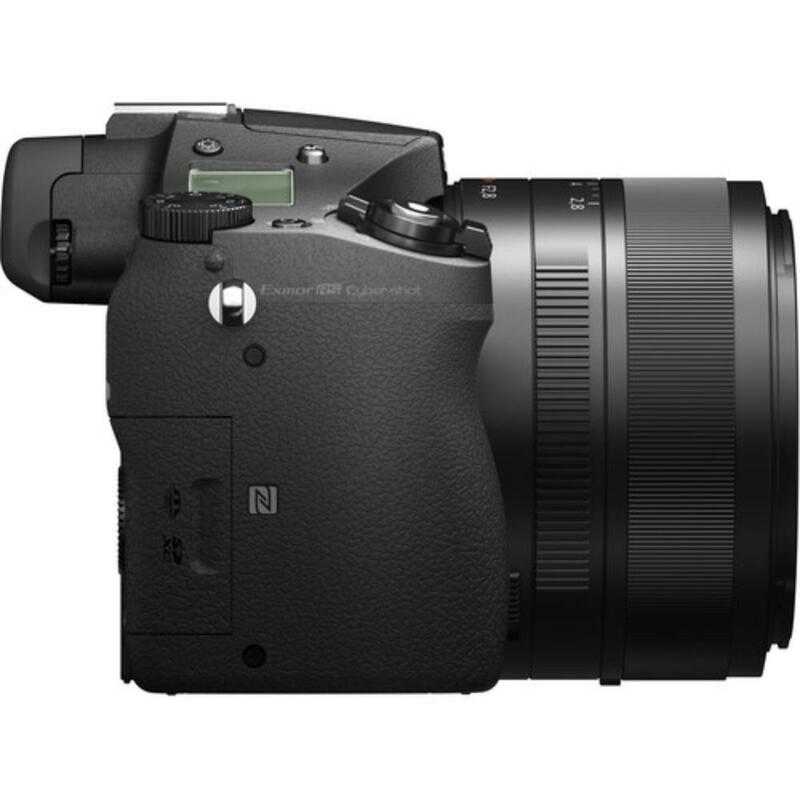 For still photographers, it fires at a speedy 14 FPS and the lens can shoot subjects as close as 1.2". 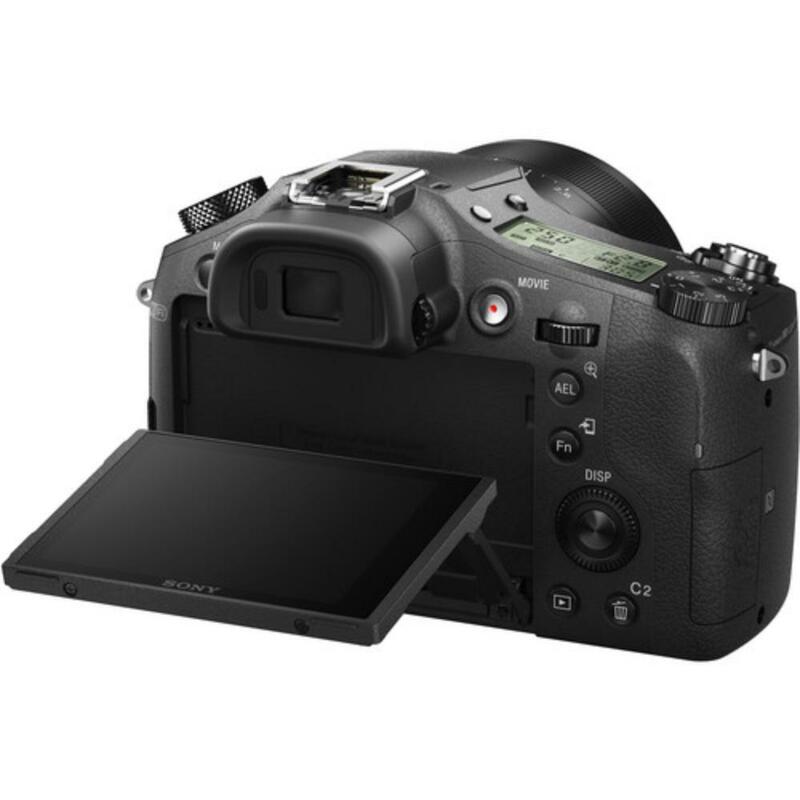 Compose your shot with the large LCD screen or with the viewfinder. An automatic eye-sensor recognizes when an eye is at the viewfinder and illuminates when the LCD is not in use. Wireless connectivity allows you to transfer images to a tablet or use your smartphone as a remote when used with the free Sony PlayMemories app. You can connect an external microphone to this camera as well as use a Pocket Wizard or external flash on its hot shoe, making this camera useful for both novices and advanced users. The Super-Speed Anti-Distortion electronic shutter can capture images at 1/32000 seconds as well as reduce the rolling shutter effect when shooting action for video. This means you can also shoot in extremely bright conditions, which is further helped by a built-in ND filter. 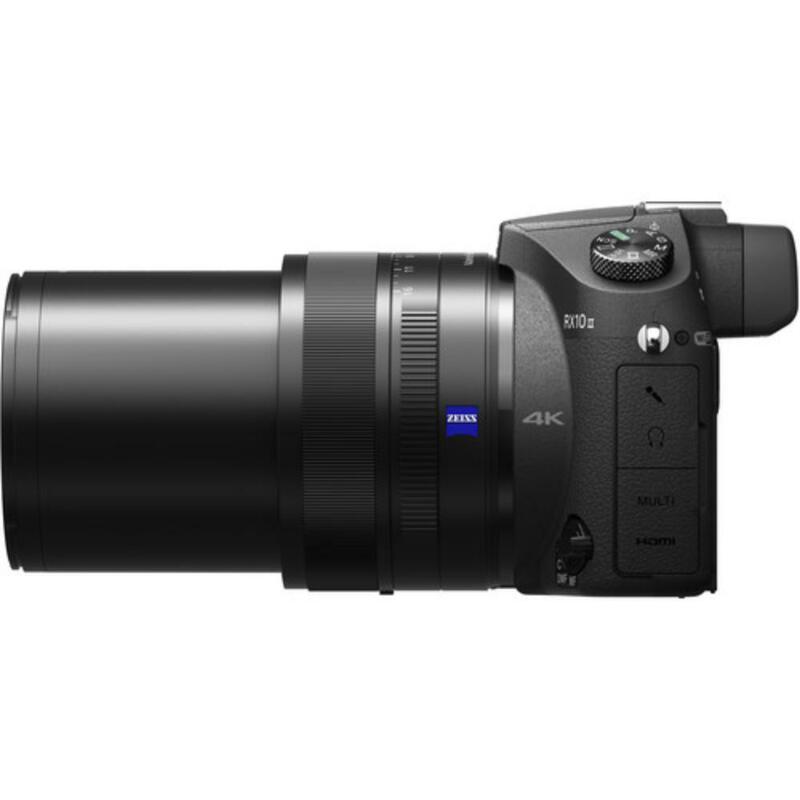 This camera is ideal for all shooting needs that require a small camera with an all-in-one lens built-in and is particularly well suited for events, location shooting, and traveling. • This camera requires SD cards of at least 64GB capacity for all video recording. SD cards are not included. • If you want to record in the lowest compression version of 4K or in slow motion, you'll need a UHS-II Class 3 SD card, such as the 64GB 280MB/s SDXC Class 3 UHS-II Memory Card. If you want to record in the highest compression 4K or in 1080p, you'll only need an SDXC Class 10 SD card, such as the 64GB 95MB/s SDXC Class 10 Memory Card. 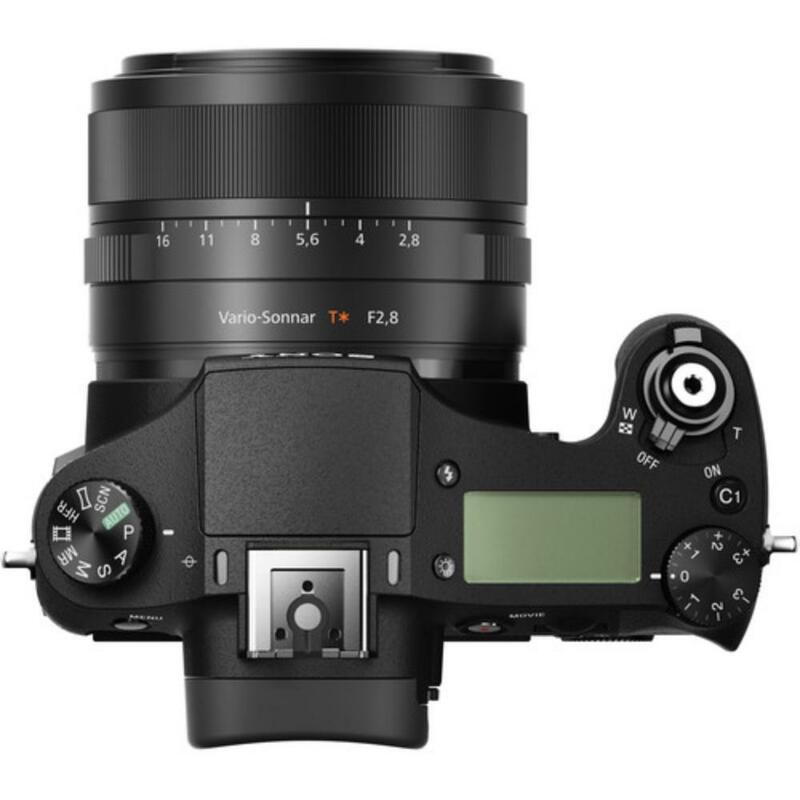 • This camera has a built-in 8.8-73.3mm (24-200mm Equivalent for 35mm format) f/2.8 Zeiss lens and you will not be able to remove it for other lenses. • We will make every attempt to have a fully charged battery for you but we can't guarantee it 100%. If you need a fully charged camera body, please request it via order notes. • Note that this camera does not have GPS. • Continuous shooting is possible for approximately 29 minutes (limited by product specifications, default setting). • Really high speed frame rates are only available in short bursts of less than 8 seconds (depending on your settings). • This camera is not capable of displaying an image while recording high speed frame rates.